Singapore has one of the highest rates of myopia in the world. Short-sightedness affects 28 percent of children as young as seven years old, and the rate increases to 83 percent when they reach 18 years old. restrictions should not be underestimated. Most importantly, studies have shown that persons with higher myopia are at higher risks of developing complications such as degenerative retinal changes, early-onset cataracts (in the thirties to forties) and open-angle glaucoma that can be sight-threatening later in life. Children who start developing myopia at a younger age are more likely to ultimately develop high myopia later in life, and high myopia currently occurs in at least 15 percent of our 18-year-olds in Singapore. Based on previous ATOM trials and epidemiological studies, the ATOM3 trial continues to investigate the use of low dose Atropine to prevent and control myopia in the younger population. The study is sponsored by National Medical Research Council (NMRC) and Asia Cornea Foundation (ACF). As a result of previous trials, we now know that Atropine can reduce or slow down myopia progression in children, at least above the age of six years. 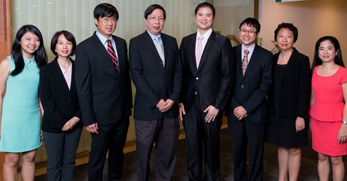 The ATOM3 study, supported by SCRI, will be performed at the Singapore Eye Research Institute (SERI) and the Singapore National Eye Centre (SNEC). This new study hopes to determine if Atropine eye drops can prevent or slow the onset of myopia in young children (with myopic parents) who have a high risk of developing myopia, or reduce myopia progression in those with low myopia at a younger age. SCRI’s project manager provides advice to both the study and internal teams, clinical research associates for site initiation and monitoring, as well as biostatistics and pharmacovigilance support. SCRI’s Research Informatics department developed the Randomisation platform (RAND) for the project by working with the biostatistician. In addition, a data manager will be working closely with the Principal Investigator (PI) and biostatistician to customise the Oracle Clinical as well as provide data analysis and query management. of hormonal treatment. However, recently developed therapies for Castration-Resistant Prostate Cancer (CRPC) by hormone has not been effective for 20 to 40 percent of CRPC patients. One of the postulated mechanisms for this resistance is the development or presence of androgen receptor splice variants. ARV7 aims to find out the prevalence and incidence of the AR-V7 splice variant in an Asian population of patients with CRPC and to study how different treatments impact the patient outcomes in this group of patients. The study is co-funded by global pharmaceutical company Sanofi and National Medical Research Council (NMRC). There are eight participating sites within key hospitals in five countries: Singapore, Malaysia, Hong Kong, Thailand and Japan. 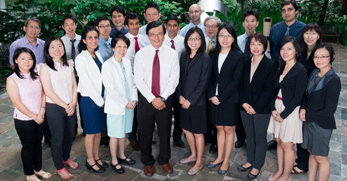 SCRI supports the project management and prepares sites in Singapore for study initiation. SCRI provides support for the study by allocating a project manager as the main point of contact for sites and internal teams, a clinical research associate to assist sites with approval processes and a pharmacovigilance team for serious adverse event (SAE) reporting. The data manager from SCRI works closely with the Principal Investigator (PI) and biostatisticians to custom-build a database management system, Oracle Clinical, in addition to providing data analysis and query management services. ARV7 is unique: It would provide data for comparisons with recent publications and study the effect of the AR-V7 variant on the Asian population. It also showcases the successful partnership between a private global pharmaceutical company, Sanofi, with our public institutions, National Cancer Centre Singapore (NCCS) and SCRI. D3-003 is a Phase I clinical trial to evaluate the safety, tolerability, blood levels, and target engagement of ETC-206, a novel cancer drug candidate which could be used for the treatment of blood cancers. The three main groups of blood cancer are leukaemia, lymphoma and myeloma, two of which (leukaemia and lymphoma) are among the 10 types of cancer with the highest mortality rates in Singapore. ETC-206 is the first Mnk-inhibitor capable of targeting the enzyme in liquid cancers to suppress cancer proliferation and prevent cancer progression. This offers a therapeutic strategy that could potentially lower the mortality rates caused by blood cancers. A uniquely “Made in Singapore” discovery, ETC-206 was discovered and developed through a collaboration between A*STAR’s Experimental Therapeutics Centre (ETC), the Drug Discovery and Development (D3) unit, and Duke-National University of Singapore Medical School (Duke-NUS), a partnership which began in May 2010. The drug was developed through a complex series of laboratory and clinical research with the aim of identifying better treatment options for our patients. The study showcases the capabilities and strong partnerships between Singapore research teams, evident in their creation of a new milestone in cancer drug development. SCRI is coordinating the clinical research operations led by D3. SCRI’s coordination services range from biostatistics, research monitoring, data and project management, pharmacovigilance to research informatics. Phase 1 trials will evaluate the safety, tolerability, blood levels, and target engagement of ETC-206 in up to 17 healthy volunteers. 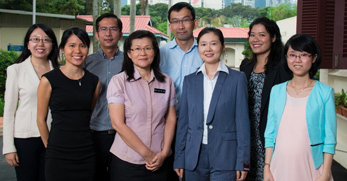 CEA PsyEdu is a randomised controlled trial in Singapore. The trial aims to (1) develop a web-based postnatal psycho-educational programme for first-time mothers, (2) examine its effectiveness on maternal self-efficacy in newborn care (primary outcome), as well as social support, psychological well-being and maternal satisfaction with the postnatal support (secondary outcomes) and (3) evaluate its cost-effectiveness as compared to home-based psycho-educational programme and routine postnatal care. Supported by the NMRC Health Services Research Competitive Research Grant (HSR CRG), this project shows novelty in designing and promoting a psycho-educational programme for first-time mothers. The study leverages on information technology to provide innovative and high quality nursing care that is efficient, potentially costeffective and evidence-based. This trial shows great potential of having a big impact on women going through childbirth. SCRI’s Epidemiology Department harnesses its expertise to provide the project with cost-effectiveness analysis and economic evaluation. Playing a key role for this project in the design of CRFs, development of cost-effectiveness analysis plan, construction of Markov models, and support of manuscript drafting. The department hopes this study will pave the way for greater development of research projects to promote costeffective health services in the nursing field. The objective of the Expel study is to assess whether by reducing the risk of peritoneal recurrence, extensive peritoneal lavage improves overall survival of gastric cancer patients undergoing gastrectomy. In this study funded by National Medical Research Council (NMRC), 16 sites from six countries are involved. These countries include Singapore (two sites), China (two sites), Hong Kong (two sites), Japan (three sites), Korea (six sites) and Malaysia (one site). This study was initiated in March 2015. By February 2016, 539 subjects had been enrolled in the EXPEL study. The recruitment is still ongoing to meet its recruitment target of 800 subjects. Extensive peritoneal lavage is simple, inexpensive, and carries minimal risk to patients, but this simple method may be an effective strategy for treatment of gastric cancer. Both SCRI’s Project Management and Research Informatics departments provide support for the EXPEL study. The project manager tracks the overall study status of all study sites while facilitating the work of external contract research organisation (CRO) engaged for study monitoring and management services at sites in China and Korea. In addition, the Research Information department provides study randomisation for all the study sites. The Asia Cornea Society Infectious Keratitis Study (ACSIKS) is a three-year, multi-centre, prospective and observational study of infectious keratitis cases in 30 sites spanning eight different Asian countries: India, China, Japan, South Korea, Taiwan, Thailand, Philippines and Singapore. The total number of recruited subjects exceeded 6,500 and the first phase of the project has been successfully completed. The SCRI Data Management Team performs remote monitoring for the large-scale ACSIKS study by examining a variety of datasets to uncover hidden data patterns, correlations, and trends including data entry preferences and other useful operational information. These trial analytical findings can lead to more effective ways of identifying and securing data quality and improved operational efficiency. The Data Management Team developed a customised database for the ACSIKS Study that is simple and user-friendly enough to allow all 30 sites to enter diverse study data with ease. It also programmes automated system checks to ensure data consistency and streamline data cleaning, and integrates interactive query management for effective communication with the sites to ensure the quality and integrity of data are closely monitored in a central monitoring system. In addition, the Team generates monthly data metrics to the Project Management Team for project progress updates. The Data Management Team also addressed the PI’s needs to generate special data listings and reports for presentation at the Asia Cornea Society Conference. The Data Management Team works closely with the Biostatisticians to effectively merge multiple data tables to produce clinically relevant datasets. AHCC06 is an Investigator-initiated, open-label, randomised-controlled study that compares the outcomes of two established treatments in patients with locally-advanced hepatocellular carcinoma (HCC), namely SIR Spheres® microspheres and Sorafenib. The Trial is jointly funded by NMRC and SIRTeX, a medical device company. The primary objective of this Trial is to determine which of the two treatments confers better overall survival for HCC patients. 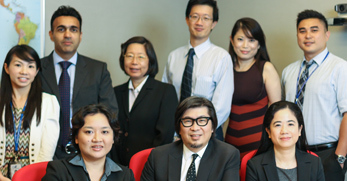 The AHCC06 Trial involves 29 renowned medical centres across the Asia Pacific region. To date, the Trial has successfully completed two independent interim analyses and is on track to meet the enrollment timelines. SCRI’s Project Management provides the coordination and dedicated support for the AHCC06 Study in day-to-day trial operations. With its meticulous oversight of the trial data reporting and query resolution, the Team is ready to initiate and implement improvement strategies where needed in the event of operational challenges. The Project Management Team actively engages in planning and coordinating important trial milestones. Two such occasions in 2014 were the Investigators’ Meetings in Taiwan and Singapore – which were valuable platforms for open discussion of the AHCC06 Trial progress, issues and their solutions. The Project Management Team regularly presents Sirtex with key project updates and collaborates closely with Sirtex to facilitate the conduct of the Trial. 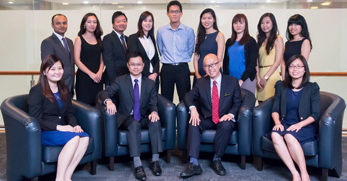 An encouraging development in 2014 was Sirtex’s additional funding of up to S$1.9 million provided for AHCC06, aimed at enhancing trial quality and facilitating subject recruitment. The device trial, SINGA-PACLI, is the first Investigator-initiated, randomised-controlled trial focusing on Asians suffering from Critical Limb Ischaemia (CLI). The Trial compares drug-eluting balloons percutaneous transluminal angioplasty (DEB-PTA) with conventional balloons (CB-PTA) in below-the-knee (BTK) arterial lesions. The Study target is to recruit 136 subjects from two Singapore sites: the Singapore General Hospital and TTSH. Being a double-blind randomised medical device trial, the Study procedure and monitoring presented complex challenges. Given the complexity of the Trial, the SCRI Team’s investigational product management expertise was called on in the establishment of the feasibility study procedures. In addition, SCRI’s CRAs designated blinded and unblinded study roles to ensure data collected is protected and verified. The CRAs also ensure that adverse events are correctly documented and reported promptly to regulatory authorities and study investigators. Cancers of the breast, lung, colon, prostate and ovary remain a highly significant cause of morbidity and mortality worldwide. One potentially promising avenue for the development of new anti-cancer agents is stimulating the immune system to specifically recognise and eradicate targeted cancer cells. The MUC-1 Study is a single-site, First-in-Human clinical trial in oncology which aims to assess the safety and benefit of the MUC-1 vector vaccine and to identify a tolerable, immunologically active dose level. This unique MUC-1 vector vaccine is provided by MicroVAX, LLC, a biotechnology company located in Manassas, Virginia, USA. The Study PI is Dr Toh Han Chong, Senior Consultant and Deputy Director at NCCS, and SCRI was invited by the PI and MicroVAX to participate in this First-in-Human trial as the Study Sponsor. As Study Sponsor, SCRI is responsible for ensuring sufficient resources to initiate, manage and deliver the research as proposed. SCRI also worked with the PI and MicroVAX to develop the study protocol and to prepare the site for the study initiation. SCRI provided oversight of safety monitoring, quality control and quality assurance throughout the Study to ensure the data collected was accurate and of quality standard. SCRI also provided CRO management via close supervision to ensure that overall conduct of the Study was in compliance with the approved study protocol, regulatory requirements and good clinical practice. With able support from SCRI, MUC-1 made timely progress during the year. As Sponsor, SCRI proactively identified potential study risks and provided mitigation actions. Moreover, SCRI ensured that any protocol deviations were reported promptly to the Ethics and Regulatory authorities with appropriate corrective and preventive actions. SCRI also undertook regulatory submissions to the Health Sciences Authority, obtained regulatory approvals, acted as the IP importer to ensure the appropriate delivery and storage conditions for the IP on site. Adult Dengue Platelet Study (ADEPT) is the first local Investigator-initiated, multi-centred, randomised-controlled trial on prophylactic platelet transfusion for dengue patients with severe thrombocytopenia. It compares patients given supportive care and platelet transfusion versus supportive care alone. The Study aims to determine whether platelet transfusion should be given prophylactically to prevent bleeding in dengue patients. The findings are vital to support good clinical practices not restricted to local practices but globally. ADEPT has enrolled 372 patients since Apr 2010 and is in the final stages of study analysis for the Clinical Study Report. ADEPT has been supported by SCRI’s Project Management, Research Monitoring, Biostatistics and Research Informatics Departments. Year 2014 was crucial for ADEPT as it was the last recruitment year. Despite facing challenging recruitment delays at first – with more than 141 subjects required by the end of 2014, both Singapore and Malaysian study sites worked hard together to successfully achieve its target a month ahead of schedule. SCRI’s Project Management Team provided robust support with the recruitment through proactive reviews of the prescreening and screen-failure data. Through close follow-ups, regular sharing of sites’ best practices with study teams during monthly project meetings and consistent weekly updates of recruitment status, the Team was able to help identify potential recruitment issues. Another challenge was to resolve more than 4,500 data queries within nine months, so that clean data could be analysed for the final Clinical Study Report before the study grant closure. This milestone was successfully achieved on time as SCRI’s Team played a close facilitative role in addition to Tan Tock Seng Hospital (TTSH) strong administrative support from clinical investigators. SCRI’s efforts leading up to this successful data cleaning included implementing training on the completion of case report forms, data query tracking and active follow-up.